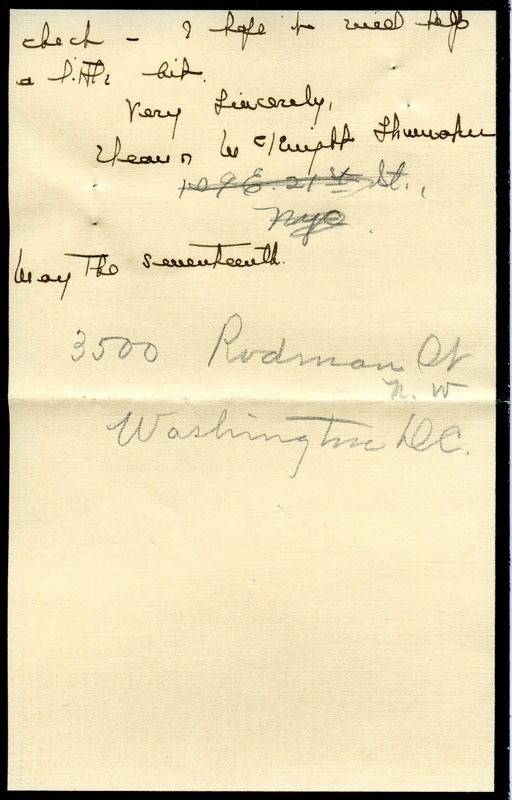 Eleanor writes to Martha with a small donation for the new dorm that the school needs to build. She also informs Martha of the recent death of her mother. 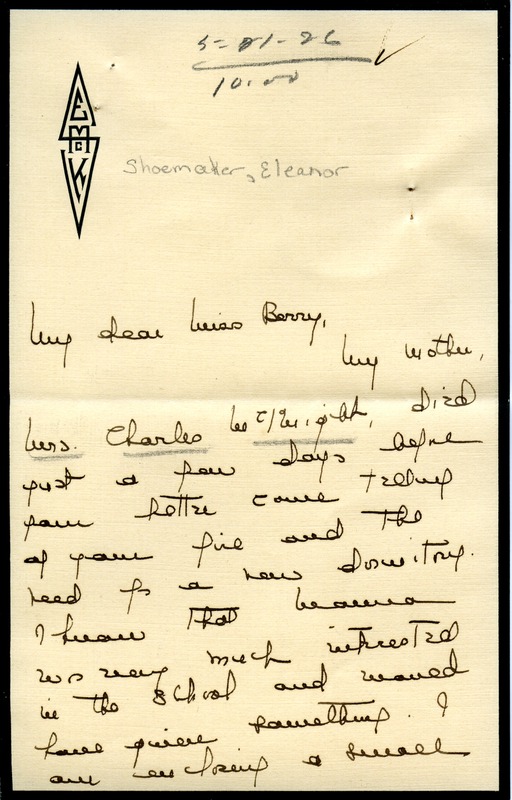 Eleanor Shoemaker, “Letter to Martha Berry from Eleanor Shoemaker.” Martha Berry Digital Archive. Eds. Schlitz, Stephanie A., Aaron Jackson, et al. Mount Berry: Berry College, 2012. accessed April 25, 2019, https://mbda.berry.edu/items/show/3080.